When buying a lighthouse these are the options you have to decide on. Since the lighthouses are made by Americans you have choices. 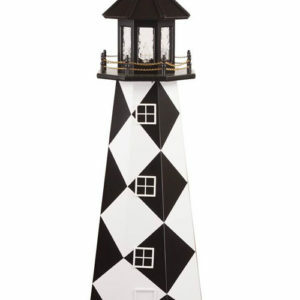 What size (2′, 3′, 4′, 5′, 6′, 8′, or 12′) when you add a base it will increase the lighthouse 6″to16″ taller depending on the initial size. The hybrid style is the combination a wood tower and a poly top and base. 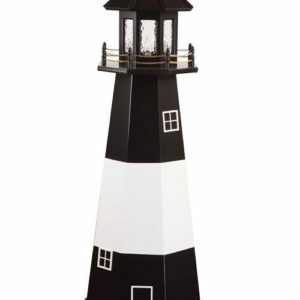 We do offer the lighthouses in all poly lumber (maintenance free material) or poly lumber tops and bottom trim (heavy wear areas) called Hybrid. 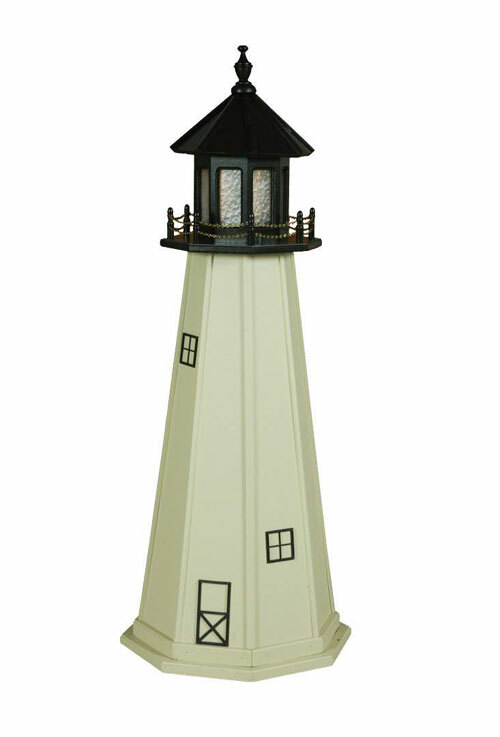 Hybrids were made to keep the price down from an all poly lumber lighthouse (we can not use poly lumber in spiral or stripe patterns).